Looking for your next acappella challenge? 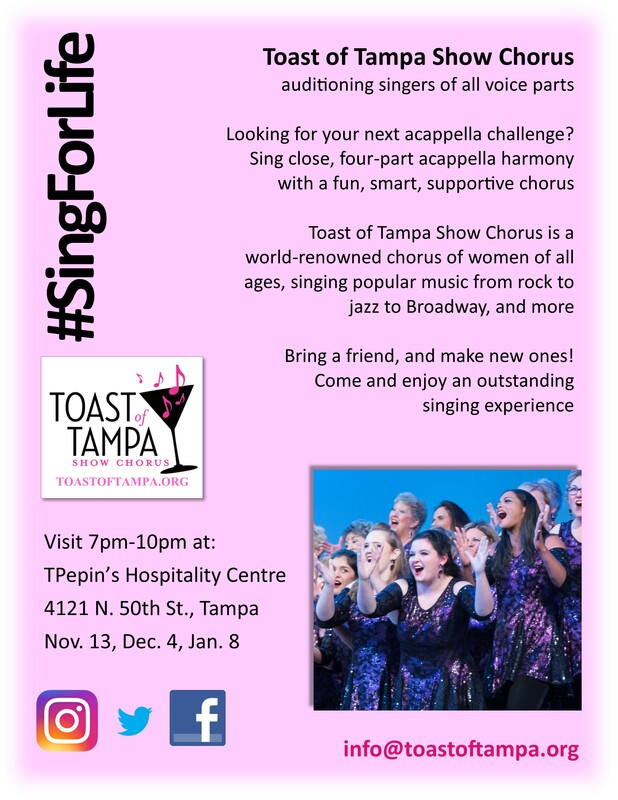 Toast of Tampa Show Chorus is auditioning singers of all voice parts this winter. Sing close, four-part, acappella harmony with a fun, smart, and supportive chorus of women. Toast of Tampa Show Chorus members Gina Baker and Chris DeRosa, along with Peggy Jones and Patty Cobb Baker, were awarded silver medals as Viva! in Sweet Adelines International quartet competition held in St. Louis, MO October 2018. Viva! is also the 2018 Coastal Harmony Region 9 quartet champion.